I jumped at the chance to see the Tim Burton exhibition at ACMI at Fed Square as a special invited guest. I'm actually not the biggest Tim Burton fan, but I am a fan of seeing the design process behind someone with as many big ideas and influential films as him, and this exhibition didn't disappoint in that arena. There were so many sketches stretching back to his childhood throughout the exhibition, standing next to finished prototypes or costumes of the real deal that actually appeared in the films. The MOMA curators were given incredible access to create the exhibition, Tim literally threw open the doors to his home to them and said take a look at my stuff. The one thing I did think was, wow, he must not throw anything away, and what a big house he must have. Seeing the way things he thought about as a child stayed with him and eventually came to fruition was really interesting. Our fabulous guide to the exhibition, Tony, explained that Tim doesn't ever see any of his “failures” as failures because for him it isn't all about commercial success, its about the creative process and realising a dream. 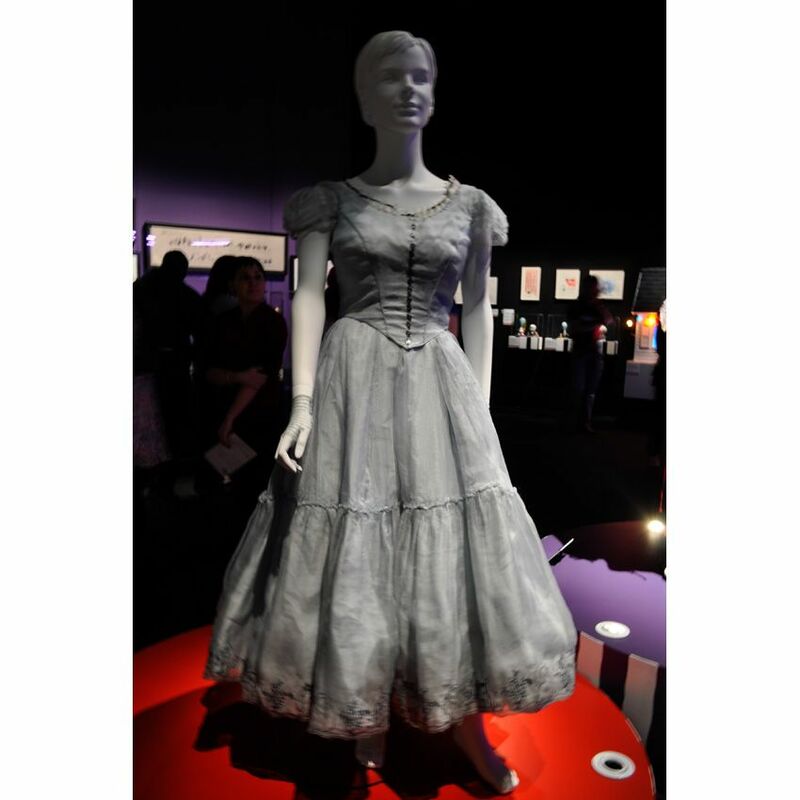 The real costume from the film. 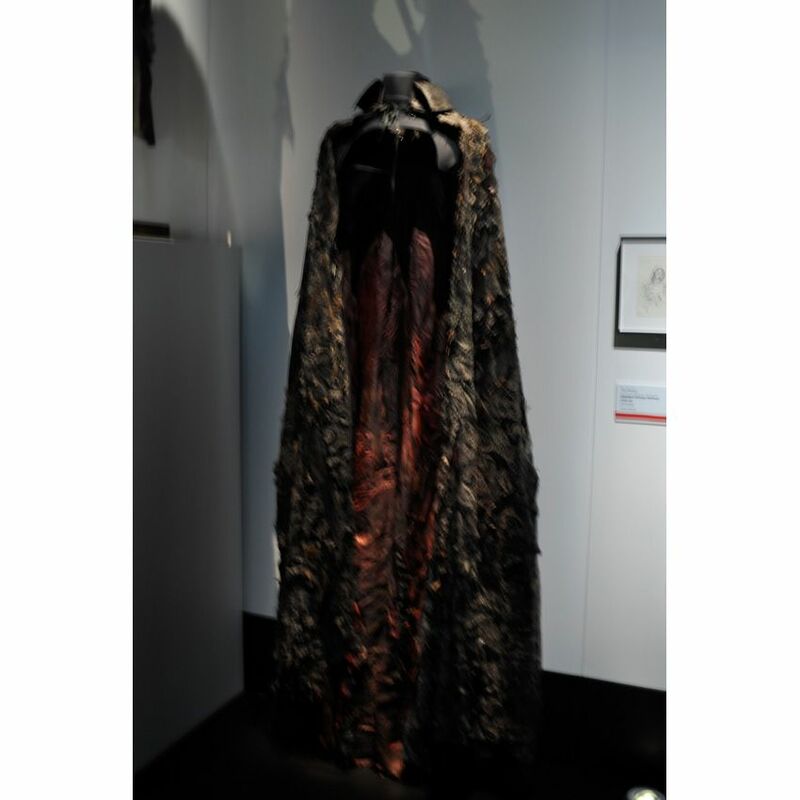 The best part of the exhibition for me was seeing the fabulous costumes from his films, my favourite being the Edward Scissorhands costume, (so on trend! ) The leather and buckle work reminded me of local Melbourne designer Nadia from Discount's piece from her graduate collection and it made me want to watch the movie again for some more fashpiration. Me, Arnold from Mr Gadget and Alicia from Sea of Ghosts. It was great to see Alicia from Sea of Ghosts and Arnold Mr Gadget. 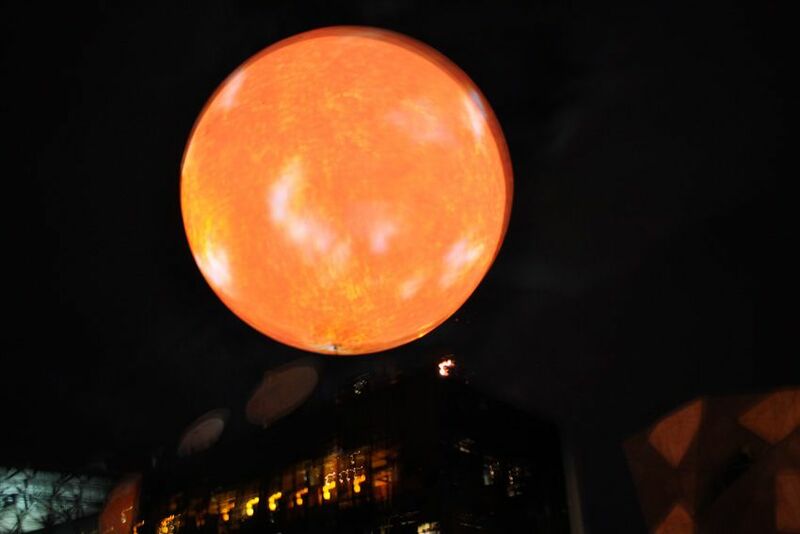 We enjoyed dinner at my sisters old work, Chocolate Buddha, with a view over the Tim Burton and Margaret Pomeranz interview on the big screen, and the very cool looking giant sun called the Solar Equation which is part of Fed Squares winter lights program. 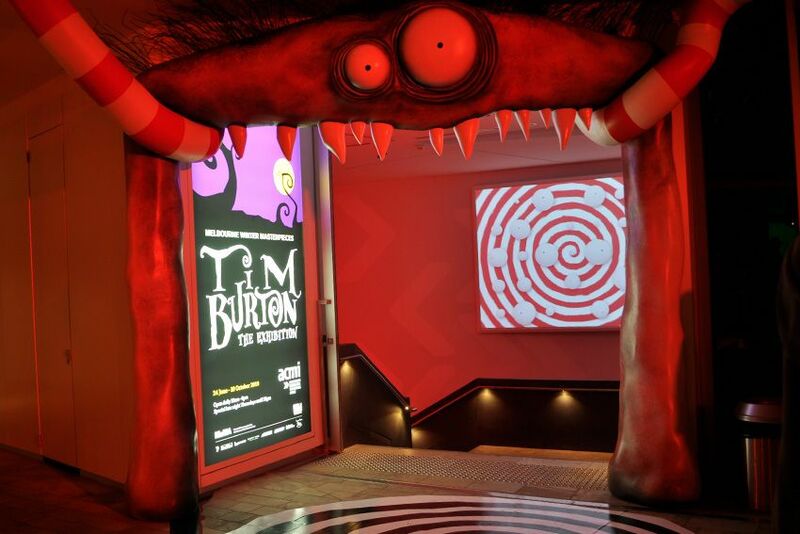 Tim Burton: The Exhibition is at ACMI at Fed Square till the 10th of October. You can win one of 5 'buy one get one free' passes thanks to ACMI and Nuffnang. Just comment on this post with why you would love to see the exhibition and 5 Random comments will win thanks to random.org. Remember the exhibition is in Melbourne so only enter if you live here or are visiting before the 10th of October. Please email me your addresses so I can post your prize out to you. oooohhhh would love to see the exhibition! Please pick me Miss Hayley! I am so broke and so desperate for some inspiration right now. How wonderful - I would love to see this exhibition and take my boyfriend as he is an illustrator - Tim Burtons world is extraordinary! :O I would love to win this, I did get to see it at the media event before the opening but I want to take my mum and little sister as the want to go, I think it would be a nice treat for them with what has been going on in our lives at the moment. My grandma passed and I know it is effecting everyone and I worry for my little sister so she would love this. oh i would love to see this! huge fan of tim burton! memmememeeeemeeeee! Actually, I planned to go friday but free would be sooooo superior. ACMI always puts on really great exhibitions, I can't wait to see this one! I love your outfit! I like how you've complemented the colour and shape of your Drown necklace. 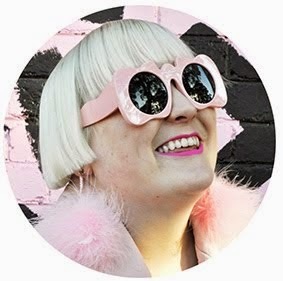 I'd really like to make it down to see the exhibition - I always find conceptual production design fascinating - but I can't guarantee I'll be in Melbourne. I'd love to see some of his sketches for some of the animations he made like the nighmare before christmas. He is insanely quirky and I love it! Thanks for showing us the images. I'm dying to see this, I'm coming down from the 6th of July and it is very high on my list of Melbourne to dos! Eeep! 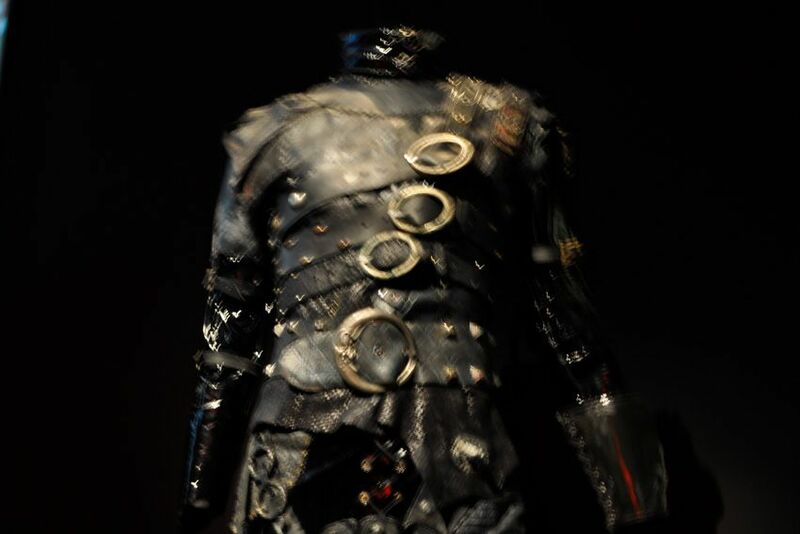 I didn't realise the actual costume from Edward Scissorhands was there! Now I want to go. Ha-ha. Edward Scissorhands is my favourite movie. He-he. oh, i would love to go! You look fab, love the tights! Would love to take my man to this expo.. he is obsessed with films and burton! What an opportunity to catch a glimpse of the creative, magical mastermind that is Tim Burton, it would be a unforgettable experience. Count me in for the chance to win a ticket. Tim Burton = vachement bon!! I would love to win because I've always been in love with Edward Scissorhands and am still trying to find a man to match up. Tim Burton is a genius! Beetlejuice, Beetlejuice, Beetlejuice! Is all I can say. Tim burton + Acmi = heaven! Fed square knows the secret of dragging melburnians out of bed and into town! Tim Burton + ACMI= heaven. Fed square sure know the secret of attracting melburnians out of bed and into town! Love Tim Burton, love Beetlejuice - classic would love to see the exhibition! Really want to see this!!!!!!!! Mr Burton is pretty amazing! 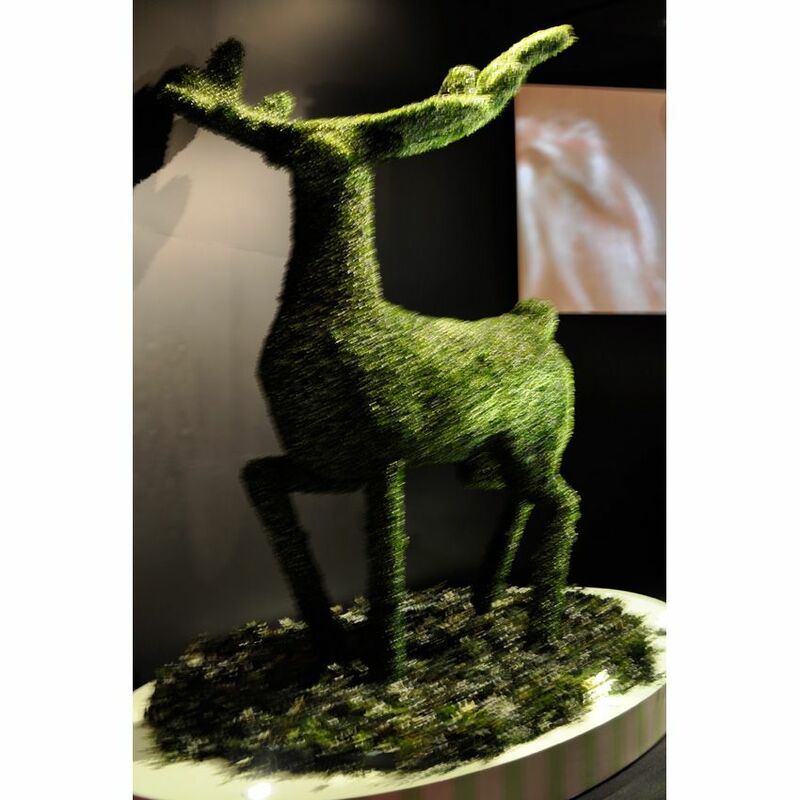 i'd love to see this exhibition as Edward Scissorhands is one of my favourite all time movies! Been thinking about going to the exhibition and seeing your post has convinced me. Would absolutely love a free pass! ahh tim burton - all his ideas are so unique! edward scissorhands! love it! captivating. Pick me ..pick me!!! !..I love Tim Burton and how he made his movie, Johnny Depp is amazing, put those two together, magic happens. Your review of the exhibition really makes me want to jump in and experience it myself. I want to see the Tim Burton comp because I want to explore the way he thinks. He is such a creative man and I would like to know how he gets ideas from inside his head to the big screen. I want to see Tim Burton’s wild crazy artwork ontop of all his out-of-this-world movies I’ve already seen!